GolfBuddy's WTX golf GPS watch brings fashion and function to your everyday lifestyle. 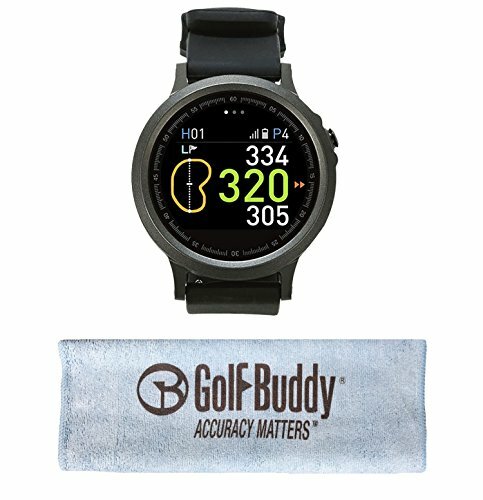 Now comes with a GolfBuddy brand 15x15 microfiber towel. The slim watch design offers both golf GPS and smart watch features that you can wear on and off the course with Bluetooth capabilities to update software and sync courses through GolfBuddy's smartphone app. The WTX is also equipped with GolfBuddy's advanced features to improve your game: full target and hazard information, Dynamic Green View, and Pin Placement. The WTX comes with several activity tracking apps, like running, walking, cycling, and a pedometer. The watch supports Smartphone notifications for Android and Apple smartphones. Use the microfiber towel to keep your watch looking clean anywhere you go.